Santa Clara, California is a city that is known for being both family oriented and business friendly. Like many cities, it offers easy access to many sorts of transportation from freeways to airports to railroads. Santa Clara is home to the highly popular theme parkParamount’s Great America and various museums of art, history and other fascinating subjects. 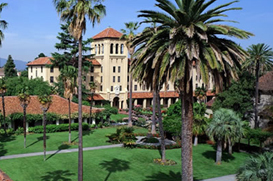 It’s also home to Santa Clara University, California’s oldest college. For those looking to move, Santa Clara, California offers one of the lowest utility costs in the entire Bay Area and is rated as one of the most affordable cities in the nation for business. More than 4,500 companies, including several top technology firms, and numerous long-term residents have made Santa Clara their home. With almost 20 square miles of tree-lined neighborhoods, booming commercial and industrial centers, and 300 days of sunshine each year, Santa Clara is an ideal location for everyone.